The logic problems in this set present you with three true statements: Fact 1, Fact 2, and Fact 3. Then, you are given three more statements and you must determine which of these, if any, a fact is also. 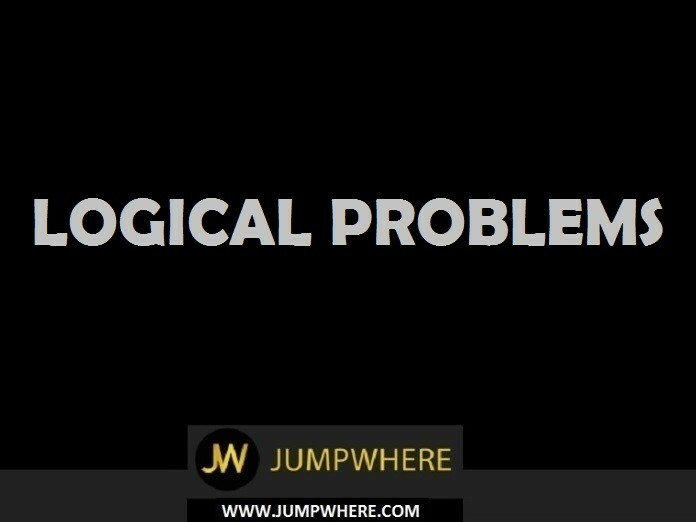 Congratulations - you have completed Logical Problems. I) All Lamels are Signots with buttons. II) No yellow Signots have buttons. III) No Lamels are yellow. We know that there are Signots with buttons, or Lamels, and that there are yellow Signots, which have no buttons. I) The hotel is two blocks east of the drugstore. II) The market is one block west of the hotel. III) The drugstore is west of the market. The market is one block west of the hotel. The drugstore is two blocks west of the hotel, so the drugstore is west of the market. I) A toothpick is useful. II) Useful things are valuable. III) A toothpick is valuable. I) Tom puts on his socks before he puts on his shoes. II) He puts on his shirt before he puts on his jacket. III) Tom puts on his shoes before he puts on his shirt. I) Three pencils cost the same as two erasers. II) Four erasers cost the same as one ruler. III) Pencils are more expensive than rulers. I) Taking the train across town is quicker than taking the bus. II) Taking the bus across town is slower than driving a car. III) Taking the train across town is quicker than driving a car. Both the car and the train are quicker than the bus, but there is no way to make a comparison between the train and the car. I) Cloudy days tend to be more windy than sunny days. II) Foggy days tend to be less windy than cloudy days. III) Sunny days tend to be less windy than foggy days. I) At a parking lot, a sedan is parked to the right of a pickup and to the left of a sport utility vehicle. II) A minivan is parked to the left of the pickup. III) The minivan is parked between the pickup and the sedan. This is the order of the cars from left to right: minivan, pickup, sedan, sport utility vehicle. I) The bookstore has a better selection of postcards than the newsstand does. II) The selection of postcards at the drugstore is better than at the bookstore. III) The drugstore has a better selection of postcards than the bookstore or the newsstand. I) A jar of jelly beans contains more red beans than green. II) There are more yellow beans than red. III) The jar contains fewer yellow jelly beans than green ones. I) Tanya is older than Eric. II) Cliff is older than Tanya. III) Eric is older than Cliff. I) Blueberries cost more than strawberries. II) Blueberries cost less than raspberries. III) Raspberries cost more than strawberries and blueberries. I) All the trees in the park are flowering trees. II) Some of the trees in the park are dogwoods. III) All dogwoods in the park are flowering trees. I) Mara runs faster than Gail. II) Lily runs faster than Mara. III) Gail runs faster than Lily. I) Apartments in the Riverdale Manor cost less than apartments in The Gaslight Commons. II) Apartments in the Livingston Gate cost more than apartments in the Gaslight Commons. III) Of the three apartment buildings, the Livingston Gate costs the most. The market is one block west of the hotel. The drugstore is two blocks west of the hotel, so the drugstore is west of the market. There is not enough information to verify the third statement. Rulers are the most expensive item. Fact 3 : Some dogs look like their masters. If the first three statements are facts, which of the following statements must also be a fact ? Fact 3 : Half of the children are girls. Fact 3 : Some beverages are red. I : Some drink mixes are red. Fact 2 : Some chickens are hens. Fact 3 : Female birds lay eggs. I : All birds lay eggs. III : Some chickens are not hens. The first statement cannot be true because only female birds lay eggs. Statement II is true because some hens are chickens and all chickens are birds. Statement III is also true because if only some chickens are hens, then some must not be hens. Fact 1 : All hats have brims. Fact 2 : There are black hats and blue hats. Fact 3 : Baseball caps are hats. I : All caps have brims. II : Some baseball caps are blue. III : Baseball caps have no brims. All baseball caps have brims, since baseball caps are hats (Fact 3) and all hats have brims (Fact 1). This rules out statement III, but it doesn't follow that all caps, a category that may include caps that are not baseball caps, have brims (statement I). Statement II cannot be confirmed, either, since it is possible, given the information, that all baseball caps are black. I) A fruit basket contains more apples than lemons. II) There are more lemons in the basket than there are oranges. III) The basket contains more apples than oranges. There are fewer oranges than either apples or lemons, so the statement is true. => The basket contains more apples than oranges (App > ... > Org) = Yes. => Therefore, the given 3rd statement is true. I) The Shop and Save Grocery is south of Greenwood Pharmacy. II) Rebecca's house is northeast of Greenwood Pharmacy. III) Rebecca's house is west of the Shop and Save Grocery. Because the first two statements are true, Rebecca's house is also northeast of the Shop and Save Grocery, which means that the third statement is false. I) Joe is younger than Kathy. II) Mark was born after Joe. III) Kathy is older than Mark. II) Jenna weighs more than Jason. III) Jason weighs less than Jasmine. IV) Of the three babies, Jasmine weighs the most. We only know that Jasmine weighs more than Jason. There is no way to tell whether Jasmine also weighs more than Jenna. I) The temperature on Monday was lower than on Tuesday. II) The temperature on Wednesday was lower than on Tuesday. III) The temperature on Monday was higher than on Wednesday.